Lumikko’s truck and trailer products L5, L7, L6BHS, LT9 and L400 come with multi-temperature compartmentation capability as a standard feature. Therefore, transport possibilities can be extended flexibly, and with the evaporator, the cargo space can be divided into two compartments even later, if transport needs should change. This makes it possible to transport chilled and frozen goods simultaneously, and it also improves the utilization ratio of the transport equipment and the air circulation in the cargo space. In this way, various transport temperature requirements can be met. Product development and new design are visible in the new MTE7 evaporator. 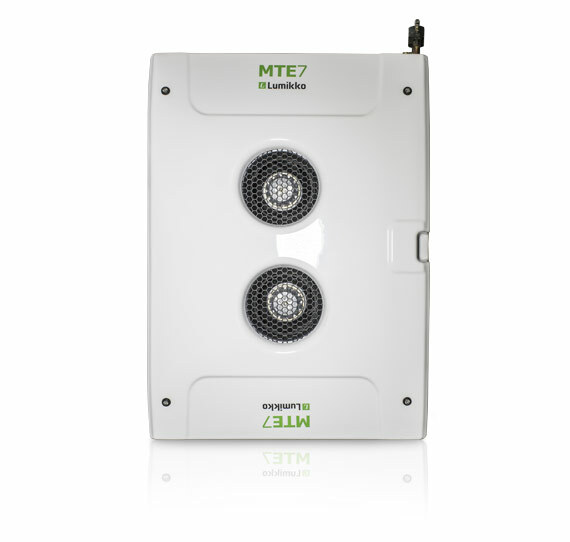 MTE7 looks impressive, it is 10 cm narrower than its predecessor and fits better in narrow compartments. In spite of its size, the evaporator is still a powerful model that blows in two directions. The great power and the durable body structure give you the correct transport temperatures. A compartmentation of the cargo space gives you versatility and flexibility and also makes it possible to have chilled and frozen goods in the same vehicle. Product development and new design are visible in the new MTE7 evaporator which is 10 cm narrower than its predecessor and fits better in narrow compartments. In spite of its size, the evaporator is still a powerful model that blows in two directions. The great power and the durable body structure give you the correct transport temperatures and good air circulation.